The project area occupies the western part of the centre of Selb, where functional deficiencies and urban decay are evident. The quality of the buildings is often poor, parking for residents is wrongly placed, creating an unattractive environment. These deficiencies are detrimental to commercial and cultural activities. 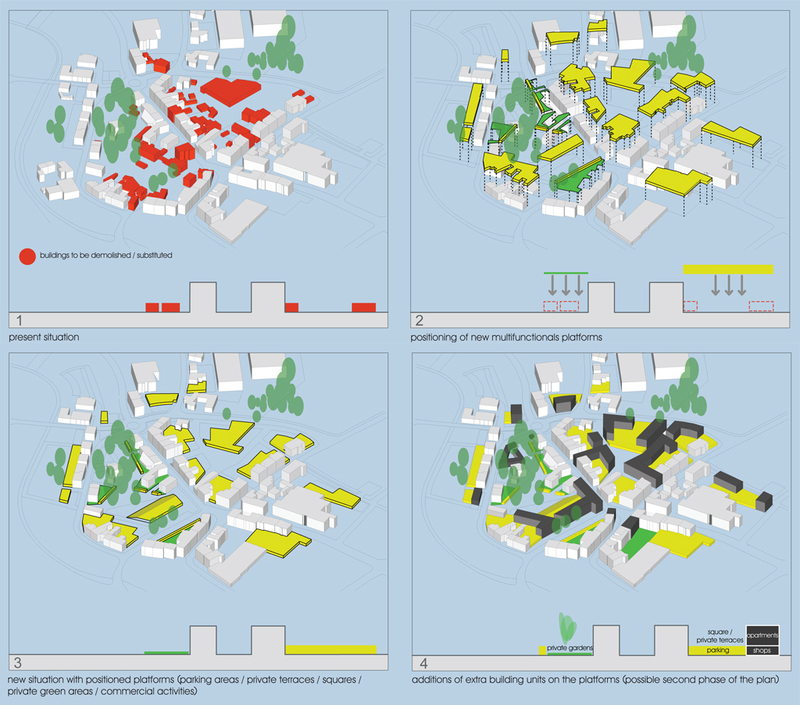 Our proposal wants to address these deficiencies through three main interventions: the addition of multifunctional platforms to the existing urban fabric, the renovation of the walkways along the main street Marienstrasse and the reorganization of the crossroads on Marienplatz. 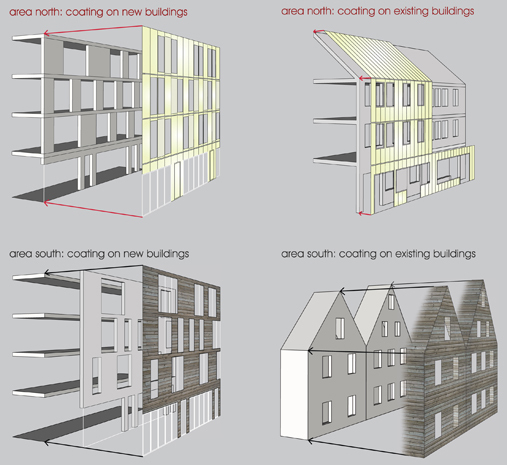 This whole intervention can easily be divided in subsequent phases of construction as needed. 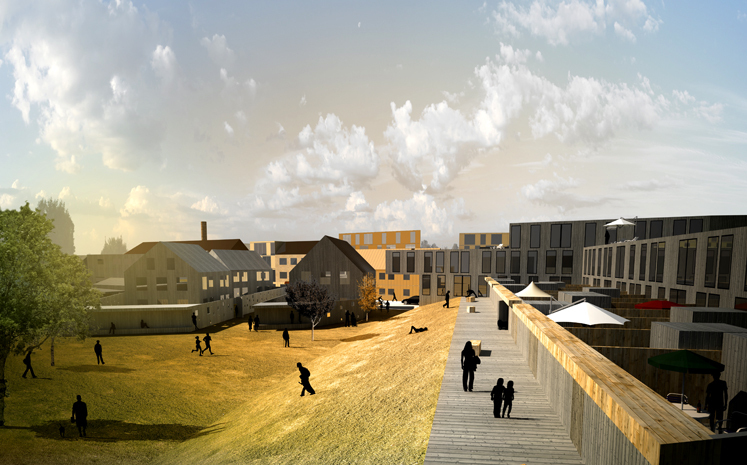 Marienstrasse will be the new frontier between two zones : north and south. The first z one in the north, towards the "factory in", will have a commercial and cultural character. In this area the majority of the platforms and new buildings will be placed. 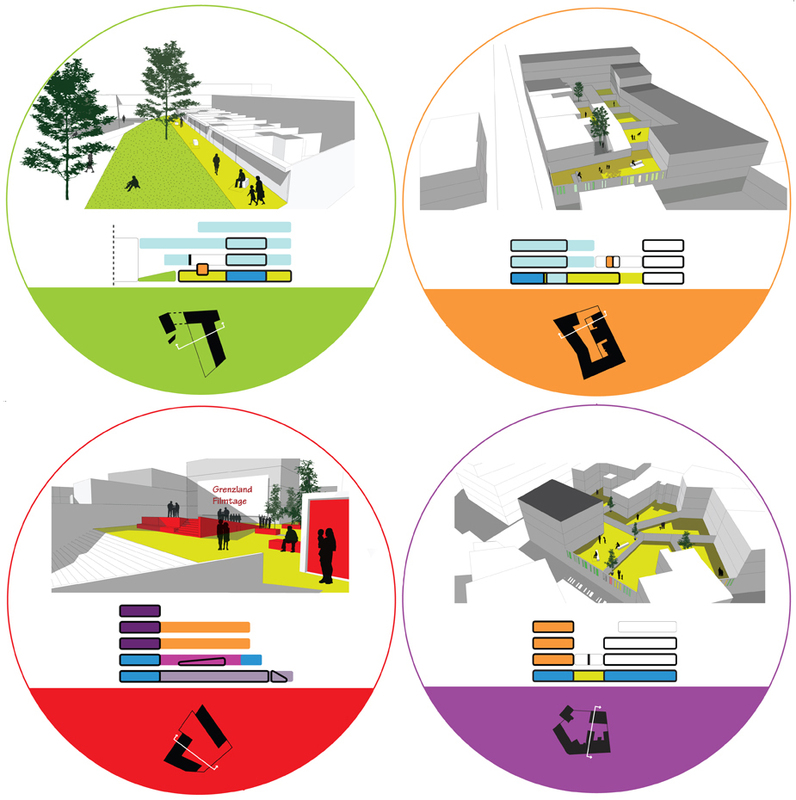 Every platform will create a different "atmosphere" in accordance with the type of residents, the housing typologies used and the functions located in the plinth. In particular one of the platforms will be hosting the film festival "Grenzland-Filmtage" which is held annually and for which Selb is renowned . The southern zone will be recreational and cultural (a museum of the film festival will be the "gate" to the park coming from Marienplatz). Here the public green areas will be separated from the private ones (preserving as much as possible the trees present in the area). The reorganization of the park will facilitate the communication with the green area along the river Selb. New buildings are planned also in this area. 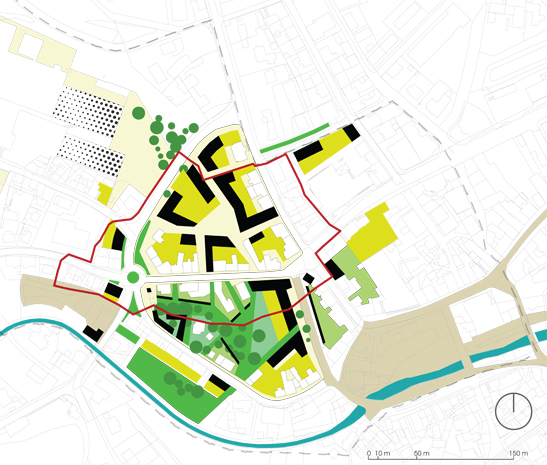 Both areas will be entirely pedestrian with one access for cars (north) restricted to residents and those who carry out other activities within the area.